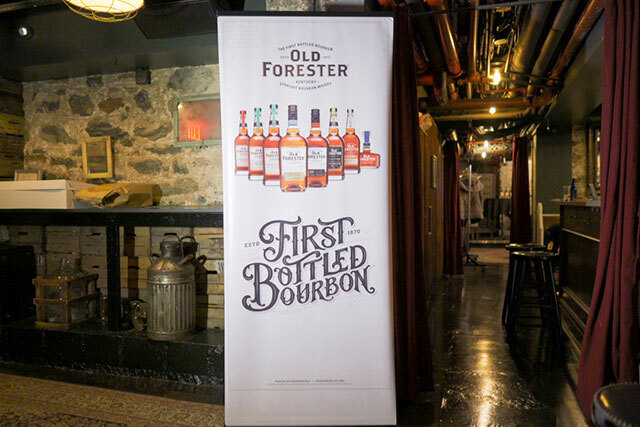 Find out who won the Old Forester Battle of the Boroughs competition in NYC. New York City has one of the strongest reputations for hometown pride and for being one of the most competitive cities in the world. 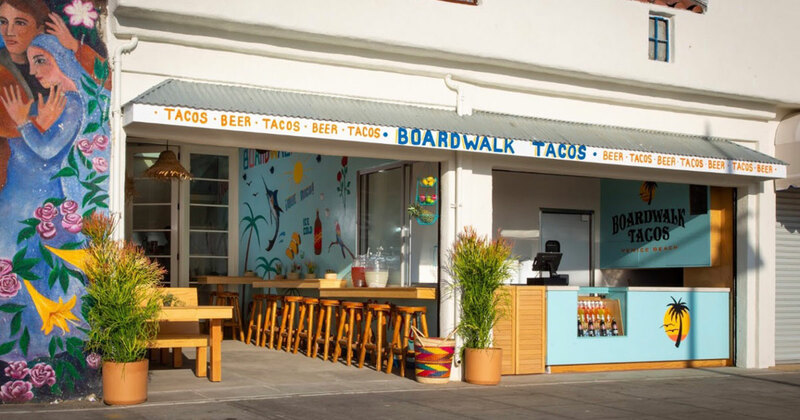 As Sinatra has said, if you can make it there, you can make it anywhere. 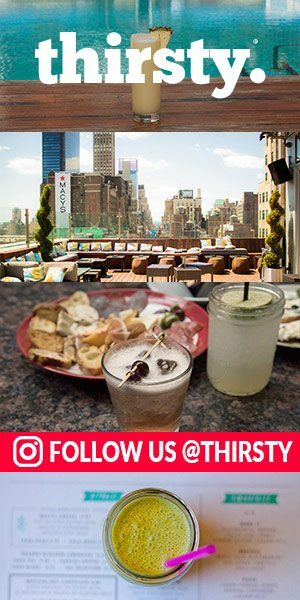 So it was a natural decision for Old Forester Bourbon to put NYC to task by challenging the five boroughs to compete for bragging rights to see which one is home to the bartender champion. Old Forester called for bartenders to create original cocktails inspired by their respective borough (Manhattan, Brooklyn, The Bronx, Queens and Staten Island) using one of its marks as the base, then popular vote selected five finalists to represent each region in the live Final Competition at Tanner Smith’s in Midtown Manhattan on February 20th, read on to find out who took home the top honors for their borough. 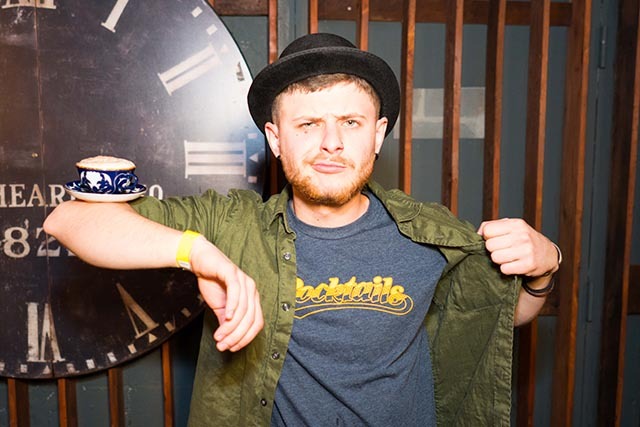 Despite it being one of the coldest days New York has seen this winter, the hail and snow was not enough to keep drink slingers away from going up against each other in hopes of attaining the winning title at the Battle of the Boroughs. 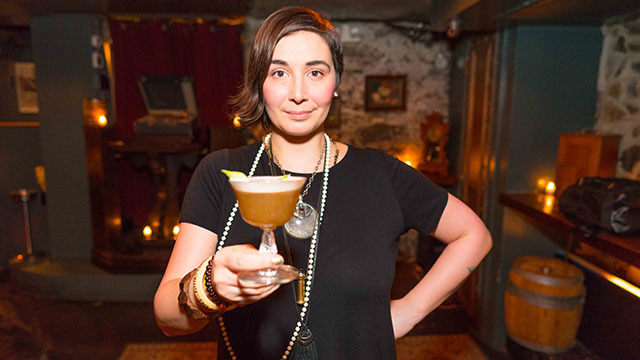 Powered by Old Forester Bourbon, this cocktail competition challenged bartenders across all 5 boroughs to channel their creativity in crafting the booziest libations that represent their honorable borough. The long-anticipated finale featured some extraordinary cocktails that tantalized the judge’s taste buds. It was tense yet very friendly and encouraging for all participants because at the end of the day, Manhattan, Queens, Brooklyn, Bronx and Staten Island all represent equal parts to making the best well-balanced cocktail there is – New York City. 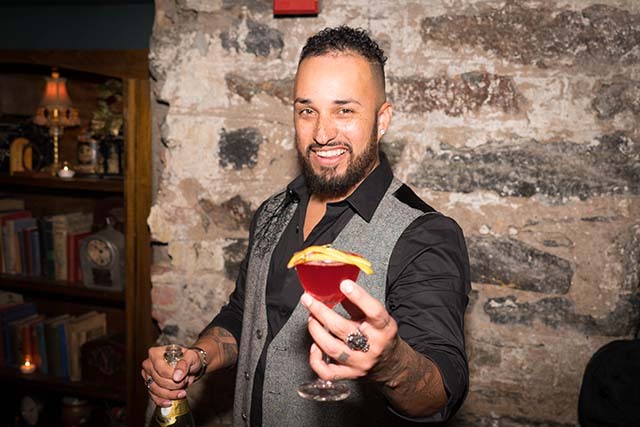 After a heavy whirlwind of deliberating, Felix Salazar from The Bronx took home the win with his cocktail “The Concourse;” a beautifully balanced, spirit-forward sipper with a subtle touch of basil and orange that highlights the bold, robust notes of the Old Forester 1897 Bottled in Bond. 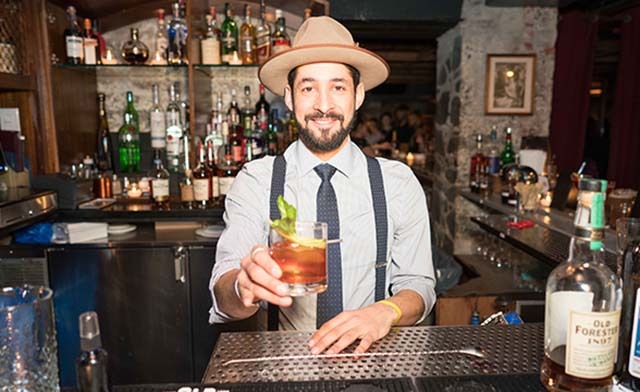 Last but not least, the epitome of an old school bartender decked out in suspenders, a tie, a fedora and a flawless double-stirr, Felix took home the win with “The Concourse,” a drink just as sophisticated as the maker behind the work. 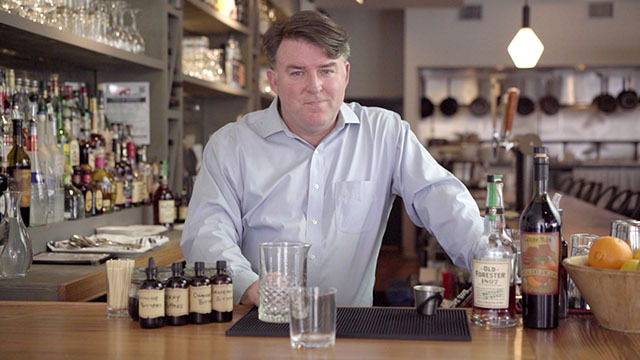 Second was Larry, representing Michael Fuquay’s drink from The Queensboro in Jackson Heights. Since it was his first competition, he was a bit nervous but he tried his best not to let the nerves get the best of him. He repped his boss like a boss! 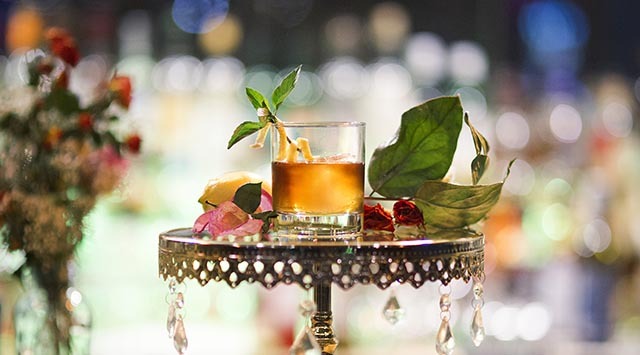 Although the cocktail was a fairly simple riff on the classic Boulevardier, the uniqueness comes forward with their homemade orange bitters which are hard to craft, making it all the more impressive. Aka Andi, known for his insane flaring skills, stepped up to the plate and proved that he is more than just a show. After he pulled out an entire Cappuccino machine out of his bag along with a cream whipper, we knew we were in for a treat. All of our senses were taken on a journey, it felt like the mob of Little Italy was in the room with us. As he was setting up and making the drink, the Godfather soundtrack was playing in the back as he went 11 minutes over-time. The judges were immersed in the storytelling and allowed him to finish, but that definitely hurt his chances. Prince showed up with his signature charm to spread love the Brooklyn way. His presentation truly brought forth the Brooklyn Biggie feels, especially when he popped the Cristal Champagne. The audience was thoroughly impressed by his focus and precision in the garnish. 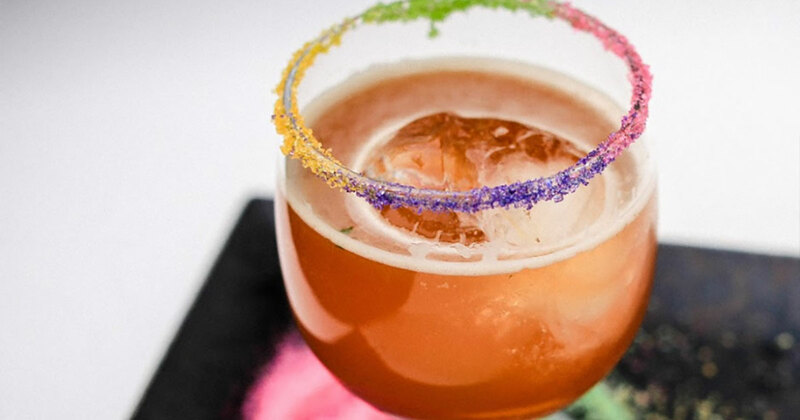 Beautiful, vibrant cocktail, both on the eye and in flavor. Copyright All Rights Reserved © 2017 Thirsty Media Inc.